Pearly whites not as pearly nor as white as they used to be? Cosmetic dentistry & veneers may be the solution. 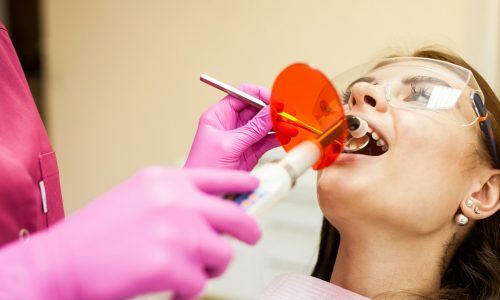 Dr. Ralph Bastian, a dental practioner in Peterborough, offers his clients a wide variety of cosmetic dentistry procedures, all of which promise a picture-perfect, gleaming smile. His focus is on the custom creation and fitment of porcelain and composite resin veneers. Dental veneers are thin shells of tooth-colored, translucent porcelain or composite resin. They are custom made to fit over your already-existing teeth. They are placed with the aim of improving the aesthetic appeal of a person’s smile, ultimately transforming the color and shape of his or her teeth. If you have a gap, cracked, broken, crooked or discolored teeth, cosmetic dentistry and veneers are a great option to consider. Porcelain veneers are known for providing a more pleasing, natural-looking and noticeable difference when compared to composite resin alternatives. They provide unrivaled longevity and strength, lasting up to 15 years, as opposed to a maximum of 7 years regarding composite resin veneers. This makes it a worthwhile investment to enhance your smile and improve your self esteem. They can be fabricated directly on the teeth in the same appointment and do not require a lab fee. This means that they offer a greater amount of convenience, too. Lastly, composite resin veneers are also easily removed or reshaped, unlike porcelain veneers which require the reshaping of your already-existing teeth before placement. Regardless of whether you prefer porcelain or composite resin veneers, you can count on Dr. Ralph Bastian to provide you with superior cosmetic dentistry services in Peterborough.